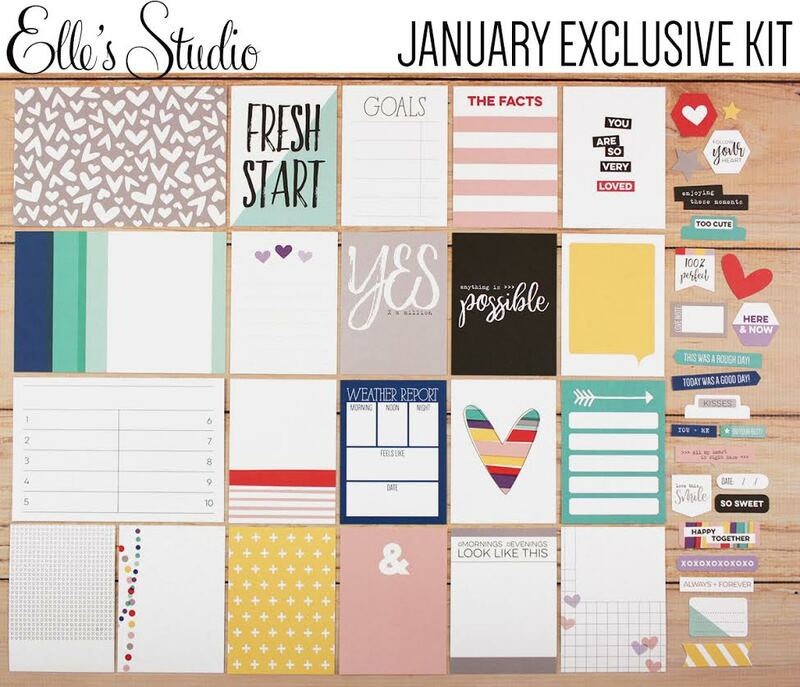 Hello friends, it's time for the January Elle's Studio reveal! I LOVE the colors this month! Anything with purple is my favorite! 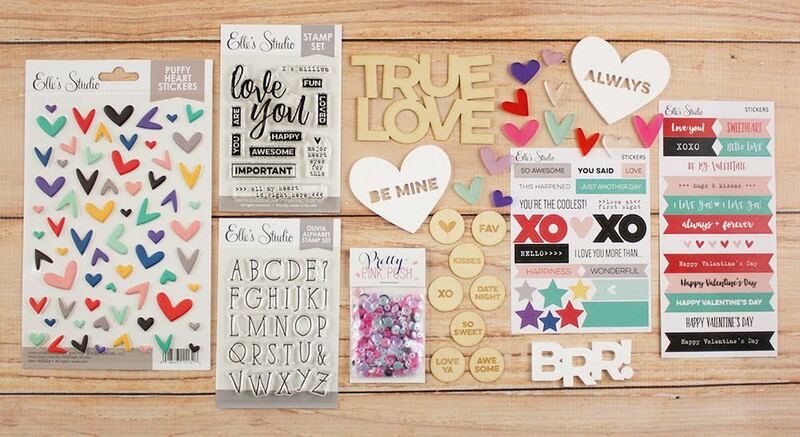 Elle also create some fun NEW items, including Heart Puffy Stickers, sequins, and stickers! For my first layout, I was inspired by one of the journaling cards. 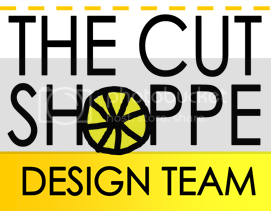 I loved circle banner printed on one of the 3"x4" cards, and replicated the look on my page. I used the same color scheme,and arranged it similarily on my page. Next, I stitched the circles down, and bent the edges up for added dimension. I used the packaging technique to add color to my background, and then added my photo and layers. I fussy cut that gorgeous striped heart from one of the journaling cards! 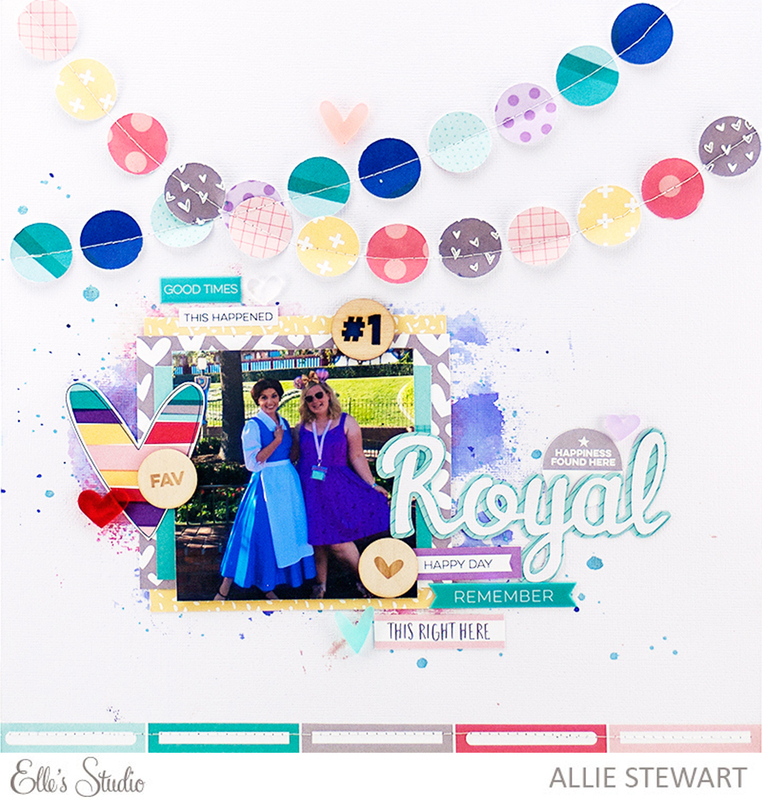 I cut my title from my Silhouette and added lots of embellishments from this month's release! 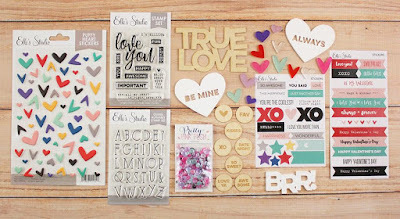 I used the Love Ya wood veneers, the acrylic hearts, and die-cuts. I love how it turned out! 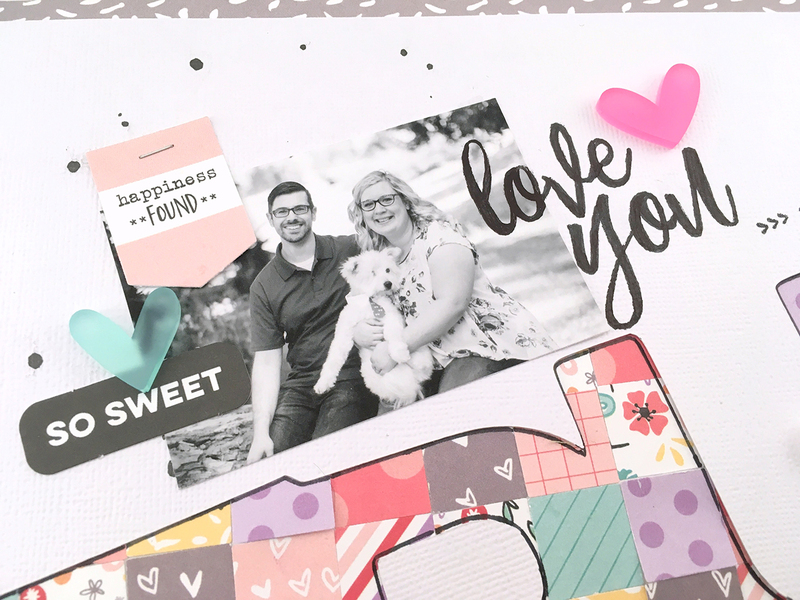 My second layout uses the January cut files! I think this is one of my favorite layouts ever! 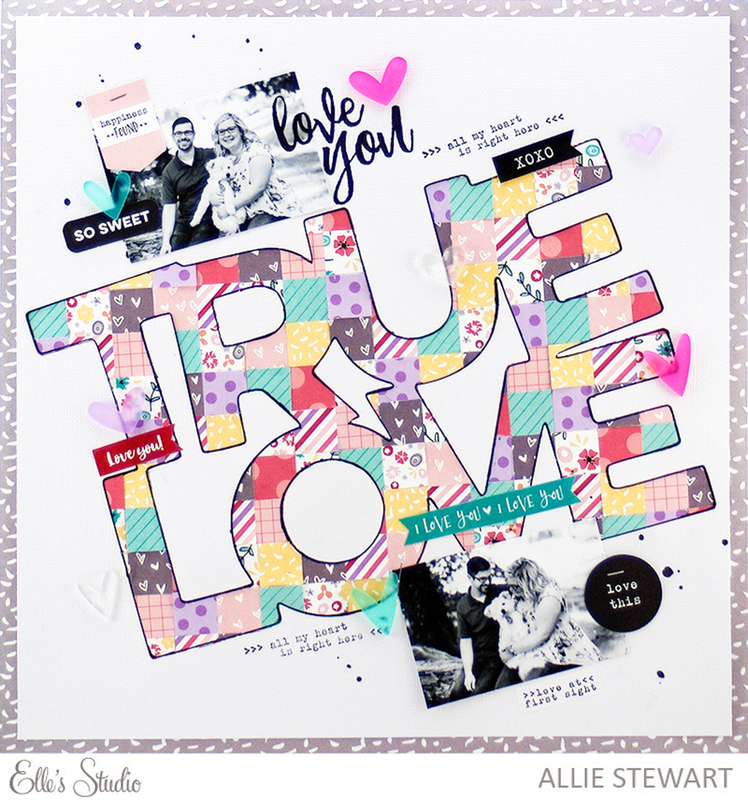 I cut the "True Love" out at an angle, and used the negative for my page. I traced it onto a scratch piece of cardstock, and added squares punched from the Little Moments 6"x6" pad. I outlined the entire thing in black to make it stand out. Next, I added black and white photos at the top and bottom of my page. 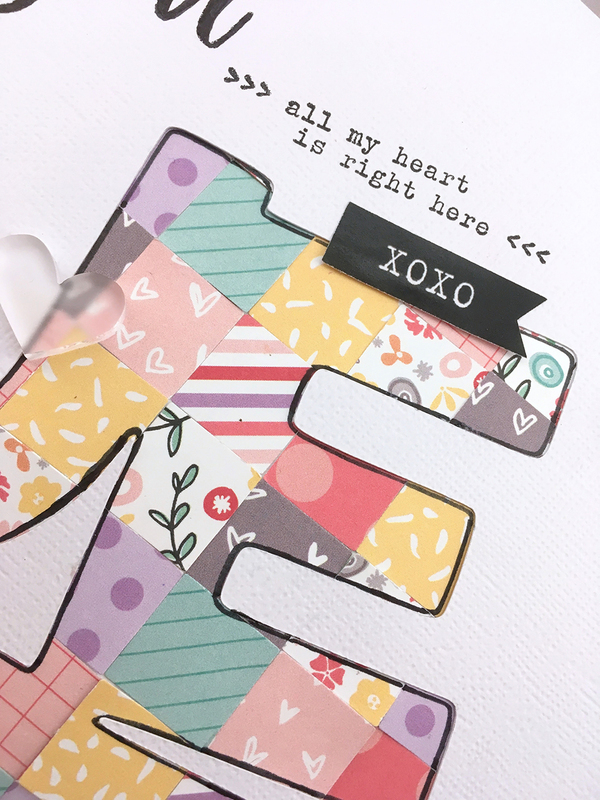 I stamped phrases using the All My Heart cut file. I added a few acrylic hearts and die-cuts, but mostly kept it simple to focus on that lovely title! I had a blast using these products! I'm trying a new way of linking them in this post, which you can check out in the box below. 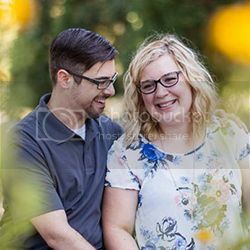 If you want to lock in the $9.99 kit price AND get free shipping on any monthly items, consider getting a subscription! Thanks for joining me today!